Copacabana Palace in Rio de Janeiro. A beautiful hotel. 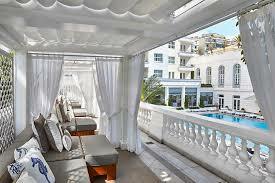 A fantastic hotel in Rio! 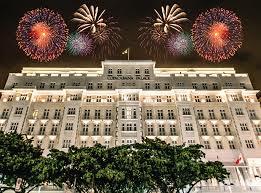 The most iconic hotel in Rio is the Copacabana Palace! Are you coming to Rio de Janeiro and have never heard of this fantastic hotel? It is fine. People usualy book their accommodation and tours in the city and don't pay much attention to the hotel. 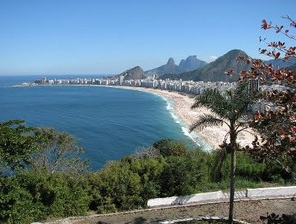 Once in Rio, doing a city tour or visiting the Christ or the Sugarloaf you will certainly come across to the 'Copa'. That's how we from Rio, call the neighborhood and the hotel itself. The hotel has received in its premisses queens, kings and several movie stars like Marilyn Monroe, Brigitte Bardot and Frank Sinatra. It is among the first buildings located in Copacabana Beach, dated from the early 1920's. Woul you like to know more about the hotel?